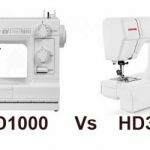 A motor that is 60% more powerful than that of the typical household sewing machine and the super-fast speed of 1,100 stitches per minute puts the Singer CG590 Commercial Grade Sewing Machine firmly in the commercial sewing machine category. 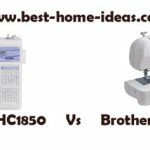 This is the first choice for someone who is looking for a machine to handle bulk heavy sewing. Exclusive electronic foot control guarantees a steady, consistent speed with no jumping while starting. 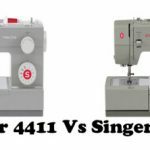 Most users who have bought the Singer CG590 rave about the power and speed of the machine. For those who do bulk sewing of uniforms, these two attributes help them increase their productivity and ultimately their bottom line. 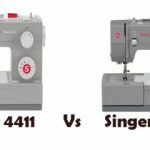 Not for nothing is it categorized as a commercial grade sewing machine. 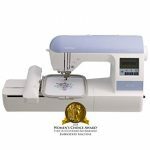 This machine is SUPER FAST and will zip through bulky fabrics with ease and without bouncing like other machines do when sewing through heavy weight fabrics. What you need to consider though is that it will move your table because of its sheer power. It’s best to avoid placing this machine on a flimsy work table. The self-adjusting tension is another feature that all professional sewers love about this machine. No need to mess around with the tension every time. 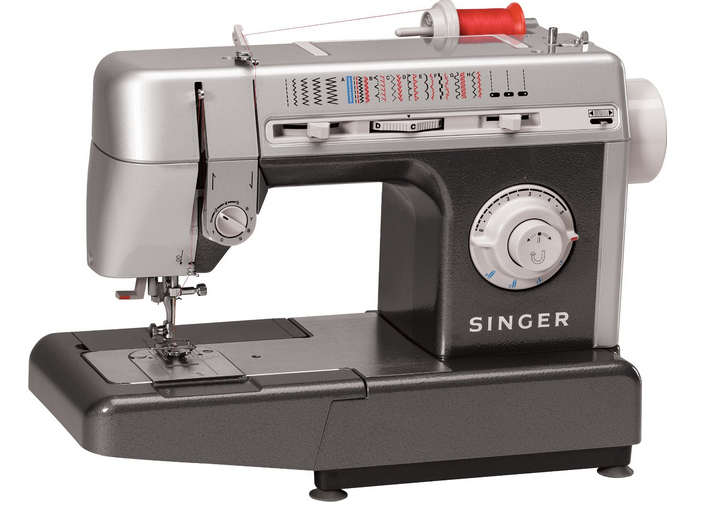 Even though the Singer CG590 does not have hundreds of fancy stitches and patterns, it is hardly a deterrent. After all, it is being sold as a heavy-weight, sturdy, no-frill machine. Moreover, what it lacks in fancy additions, it more than makes up with its awesome power and speed.